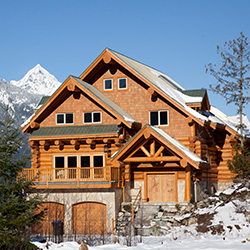 Non-Recourse Loan Lenders: Is Your Vacation Rental Ready For Winter? 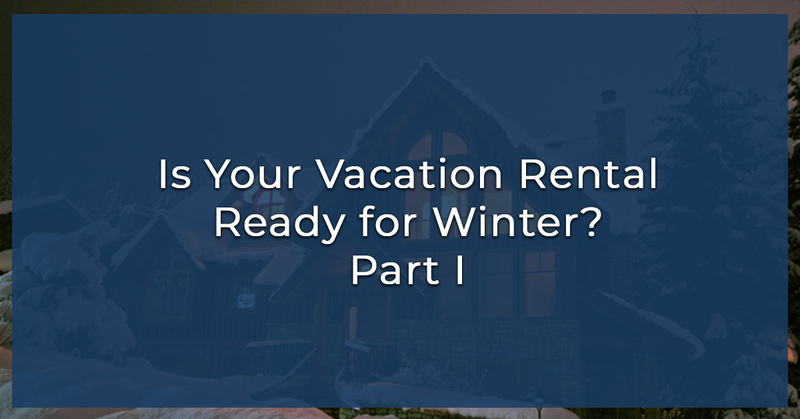 Whether this is the first time you’re preparing your vacation rental property for winter or the fifth, there are still things that can get overlooked or forgotten about. A checklist can help anyone make sure their vacation rental is on track for the colder months ahead. Our non-recourse loan lenders have broken it down into two different sections: those who are renting out their property in winter and those who are not. In Part I, we’ll discuss winterizing a rental property that you plan on leaving empty for the colder months. It doesn’t matter if it’s October or January — even though tackling these steps is best done sooner rather than later, taking these steps will help your vacation rental regardless. If your vacation rental is solely used in the warmer seasons, this checklist is for you. Closing up a summer vacation rental is a process that requires a lot of time and effort, but not doing so can leave your rental property in despair. Your home is about to go untouched for awhile — the last thing you want to return to is a jar of something fuzzy and green in your fridge or a plate that should have been washed months ago. Clean out your fridge, scrub the countertops, dust surfaces and appliances, mop the floors, and essentially just go from top to bottom to ensure everything is squeaky clean. It seems like such a small thing to make sure your lights aren’t on, but you want to double check that every single thing is turned off — and unplugged. Leaving things plugged in wastes energy, particularly if no one is there to use it. Go room by room before you close up shop for the winter. You should also shut off all outdoor faucets, remove and store garden hoses, and put them in a place where they can’t freeze. Turn off all major appliances and computers, and you might want to turn off your refrigerator as well — by leaving the door slightly ajar, you can avoid having to deal with a musty smell when you return. Outdoor furniture should be brought into the garage (or into another indoor storage area) so that it doesn’t depreciate during the colder months. Emptied flower pots, outdoor decorations, and any tools that you have around in the yard are all things that need to be moved as well. Your home might not be at risk for a burst pipe if you turn off the water, but other potential problems could arise if it’s too cold in your house. It’s likely a good idea to keep your house heated slightly, just to be safe. Keep it no lower than 55 degrees throughout the winter months when you’re not there. Tidy up your outdoor spaces. Prevent animals from getting inside. Check around for air leaks and places where animals could come inside, and begin to caulk up any gaps that you see. Bird feeders should be wrapped up and stored somewhere that animals can’t get to (consider bagging them and storing them in an airtight container). Take all food with you or throw it out before you leave — if animals know that food is available, they’re much more likely to try getting into your rental property. In part two of our blog, we’ll discuss how to winterize your rental property if you plan on keeping it open. As non-recourse loan lenders with nearly four decades of experience, First Western Federal Savings Bank has worked with real estate investors across the country who are looking to grow their financial portfolio. By keeping your rental property in tip-top shape throughout the year, you’ll be in better shape to make the most out of your vacation rental. But all of this starts with a non-recourse loan — contact our lenders to begin your application!